We are running out of synonyms for "deadlocked." On the eve of Election Day, national and swing-state polls, as they have for much of the 2012 cycle, reflect a presidential race teetering on a knife's edge. The final CNN/Opinion Research poll before the election, released late Sunday, shows a tied race - both President Obama and GOP challenger Mitt Romney each earn the support of 49 percent of likely voters nationwide. 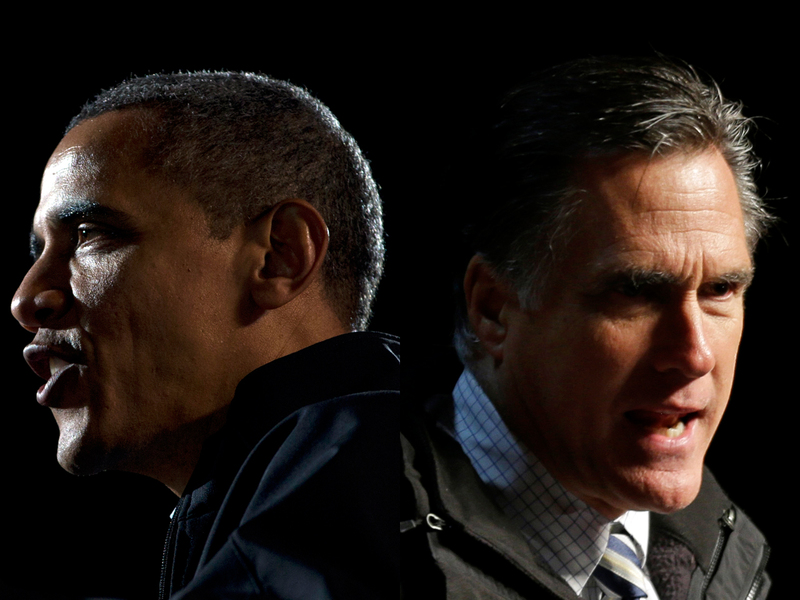 Among the broader sample of registered voters, Mr. Obama leads Romney by a slim 2 points, 50 to 48 percent. CNN's final survey of 693 likely voters had a margin of error of plus or minus 3.5 percent. In the final USA Today/Gallup battleground state poll, the candidates are neck-and-neck, with both the President and Romney supported by 48 percent of likely voters in 12 states identified as top battlegrounds. The poll shows a small resurgence for the president, who was down 50 to 46 percent in the same poll after a desultory performance in the first presidential debate. In this most recent poll, USA Today notes, "Most of the interviews were completed before Hurricane Sandy hit, and the president's disaster response may have bolstered his standing a bit since then." The poll surveyed 1,984 likely voters in 12 battleground states - Colorado, Florida, Iowa, Michigan, Nevada, New Hampshire, New Mexico, North Carolina, Ohio, Pennsylvania, Virginia and Wisconsin - and had a margin of error of plus or minus 3 percent. And the return of the Gallup daily tracking poll, which had been on hiatus for a week due to Sandy, shows a race that is virtually tied, with Romney supported by 49 percent of likely voters and the president supported by 48 percent. The last Gallup daily tracking numbers released before Sandy showed Romney ahead of the president, 51 to 46 percent, among likely voters nationwide. Gallup's daily tracker usually aggregates survey responses from roughly 3,000 likely voters over a seven-day period; however, due to the storm, today's numbers only reflect responses over a four-day window, between Thursday and Sunday of last week. In crucial Ohio, a new poll released today from the University of Cincinnati shows a too-close-to-call race in the midwestern battleground - after undecided voters are forced to pick a side, President Obama emerges with a slim lead over Romney, 50 to 48.5 percent. The poll surveyed 901 likely voters and had a margin of error of plus or minus 3.3 percent. In New Hampshire, the final survey from WMUR/University of New Hampshire shows the president with a slim lead over Romney, 50 to 45 percent, among likely voters. When undecided respondents were forced to pick a team, the President retained a slim lead, 51 to 48 percent. The last WMUR/UNH survey showed a closer race, with the candidates tied at 47 percent among likely voters. The most recent poll surveyed 789 likely voters and had a margin of error of plus or minus 3.5 percent. Finally, a Virginia poll from Wall Street Journal/NBC News/Marist shows a very close race for the Old Dominion's 13 electoral votes, with President Obama just barely edging out Mitt Romney, 48 to 47 percent, among the poll's sample of 1,165 likely voters. The survey's margin of error was plus or minus 2.9 percent.